Nayak Dialogues- Get the best and famous dialogues from Nayak movie. It is an Indian political thriller movie which is directed by S.Shankar, released on 7 September 2001. Anil Kapoor, Rani Mukerji, Amrish Puri, Paresh Rawal and Johnny Lever played the main lead roles. The movie is a remake of S.Shanker's successful Tamil movie Mudhalvan in 1999. 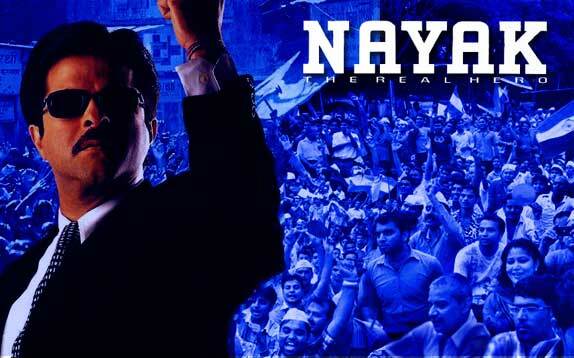 Nayak movie's score and soundtrack, composed by A.R.Rahman. It did box office flop, in the starting after released because of poor marketing. 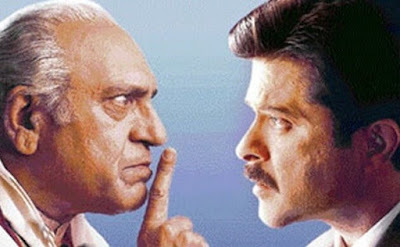 Anil Kapoor has played one day Chief minister of Maharashtra in this film, Excellent movie, amazing performances by Anil Kapoor, Amrish Puri, and Paresh Rawal. Here We have collected some famous and hard-hitting dialogues of Anil Kapoor, dialogues of Paresh Rawal from the Nayak movie, some dialogues are really marvelous. "Hamara desh bi meri tarah langra ho gaye..Aap use uthakat chla dijiye"
"Zindagi Mein Bhi VCR ki Tarah rewind button hota ... Toh kitna achcha hota"
"Tu idiot box dekh dekh ke idiot jaisi baatein karti hai"